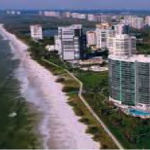 High Rises living offers an unmatched life style, so true with Regent Condominium –one of the premier high rise luxury condominiums in Park Shore Beach, Naples. The most luxurious and sought after condo features 21 floors with 32 exquisite estate homes and 5 penthouses with direct access to the white sand beaches of Naples. The largest floor plan offers is almost 14,000 square feet with floor to ceiling windows and expansive terraces offering breathtaking view of the Gulf of Mexico. Experience the ultimate in luxury of the exquisitely renovated condo unit number 12 located on the south wing of Regent at Park Shore. A contemporary, clean line is obviously utilized throughout the custom finishes. On its 8495 square feet area, this residence feature 5 bedrooms plus den, 6 bathrooms and 2 partial baths. There are two master bedroom with own master baths featuring a bidet, dual sink, jetted tub, multiple shower heads, separate tub and shower. Master bedroom also has spacious sitting room, built-in cabinets, closet cabinets, custom mirrors and beautiful room accent. Its wide living room hardwood floor and Venetian chandelier from Italy is complemented with an elegant sofa set full of throw pillows. The whole family can watch the latest movies because of its own entertainment theater room. 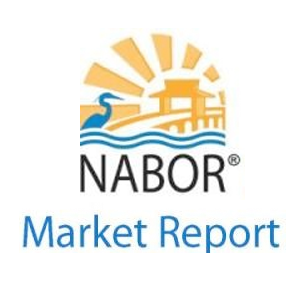 Kitchen has honed granite cooktop, built-in cabinets, pantry, wet bar, double wall ovens, warming tray and top of the line kitchen appliances, coffee and wine station. This Regent luxury unit has a patio overlooking the magnificent gulf waters and beyond. Inside the building it has fitness room with beach-facing work out, sauna bath and massage room. It also has community and billiard room, board room and guest suite. On the ground is a beachfront swimming pool and spa with expansive lounge area, a barbeque picnic ground, dog walk area and vehicle wash area. Residents of the Regent enjoy the finest in service and attention from the attentive management and staff. A three car garage is under the building. For boating enthusiast, boat slips is available for purchase or lease for residents of Regent at Park Shore. The community of Park Shore provides an exceptional beach front lifestyle. You can relax in the comfort of your contemporary suite, and enjoy tropical views from your private balcony or lanai. At the beach you can enjoy fresh seafood and tropic cocktails, take pleasure in beach activities like boating or skiing or go for site seeing trip to the gulf or to the bay. 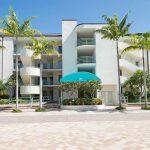 Owning a condo unit at Regent at Park Shore will give you all the opportunity to enjoy the luxury and great tropical scene of Park Shore, Naples.